Anyways, what many of you DON'T know, is how I got the job. I'll save you what my friends call one of my "yarns" (long stories that tend to drone on endlessly), and just tell you that it included a live audition at the Food Network studios in NYC. Actual chefs competed with a "secret ingredient," and I had to interview them throughout the process. 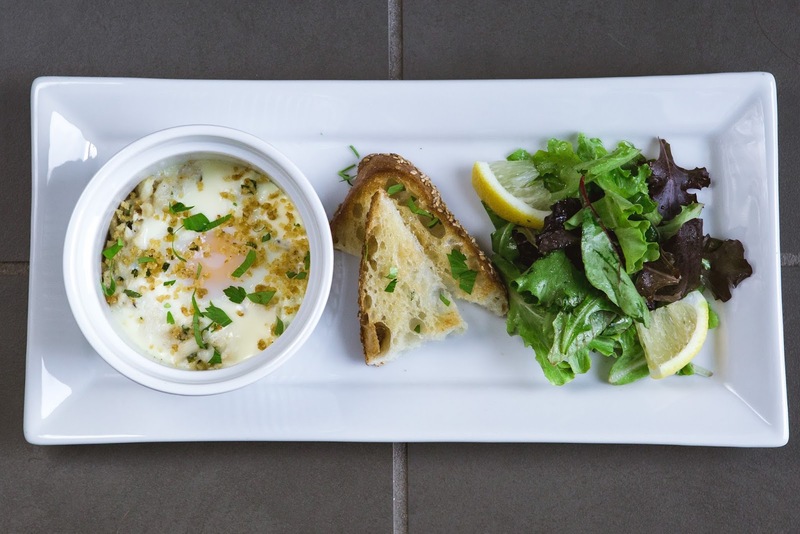 The ingredient that day was eggs, and one of the chefs made something called "Eggs en Cocotte." To be completely honest, I had never really heard of it before, though in retrospect I had definitely eaten them previously without knowing the fancy name. Basically "en cocotte" is a French term that refers to the way the eggs are cooked. (In small vessels or ramekins.) It's a very elegant way of serving eggs, and I thought it would be fun to share with you here on the blog. The cool thing about this dish is it's really just a method of preparing eggs, so much like an omelette, you can use whichever ingredients you want! The chef during my audition used mushrooms and chard and lots of heavy cream. I decided to go the seafood route, and do sort of a take on a crab cake, with my egg nestled in the center. I also wanted to add a fresh herb component, so I used some of the parsley I had leftover from Thanksgiving. I also think chives would be nice here or maybe even some dill. 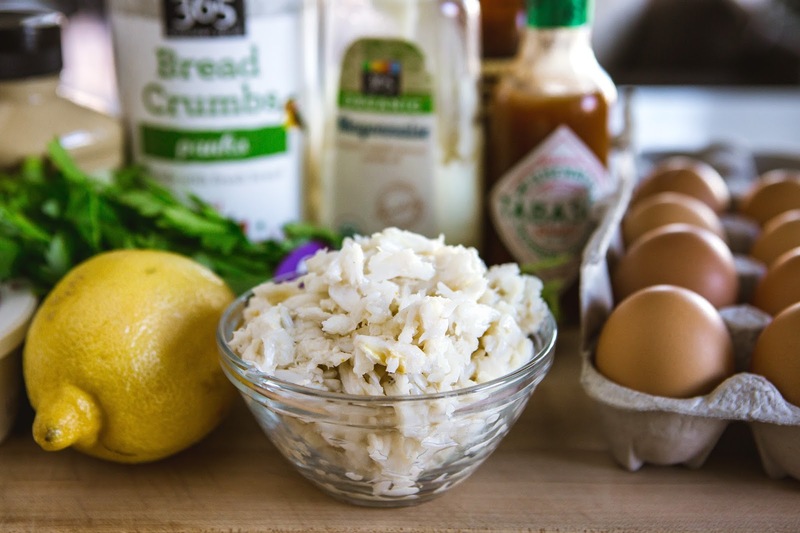 Gently fold the crab and herbs into the dressing. Evenly divide your crab mixture into your ramekins (either 2 or 4, however many you are using.) With the spoon, sort of make a little "well" in the middle of each one. 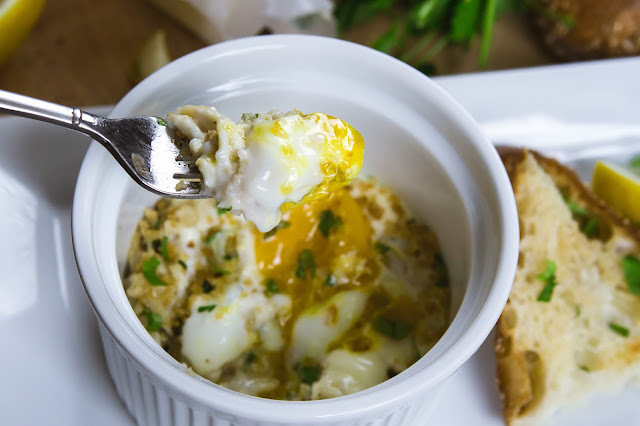 This will help keep your egg centered in the dish. From here, crack an egg into the little indentation you made. See? Perfectly nestled inside that little crab cocoon. 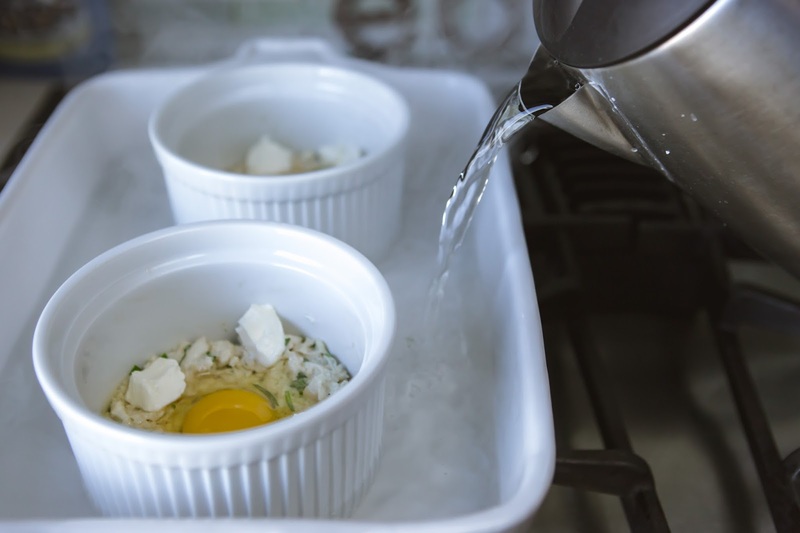 Place the ramekins inside a large baking dish, and fill about 3/4 of the way up with boiling water. Place in the oven at 350 degrees. As for how long... this is sort of a crap shoot. The dish is "done" when the whites are just set and the yolks are still runny. Most recipes I found online said 15 minutes. Mine took closer to 30 minutes. I'm assuming this is because I used the larger ramekins? So the moral of the story... start checking on them after about 15 minutes, but budget 30 minutes just in case. I wanted to add a crunchy component to the top of the eggs, so I decided to toast up some panko breadcrumbs (leftover from my fried mac 'n cheese balls I made for Thanksgiving... more on that in the NEXT post!) I just toasted them with a little olive oil, and then mixed in some Dijon mustard, salt and pepper. 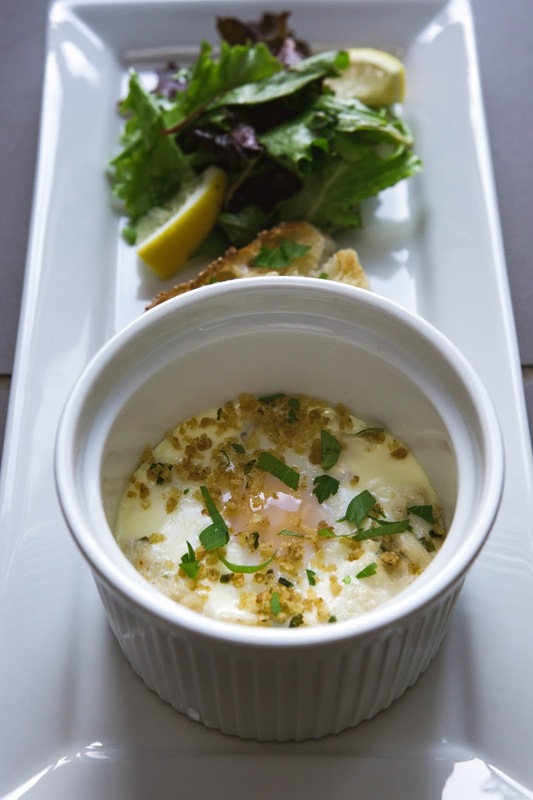 Top with the breadcrumbs, more herbs and serve alongside some toasted bread and a simple salad. They would be great if cooking for a small group of people because everyone's breakfast is basically self contained to their individual dish and they can all cook in the oven at the same time. Or you can make them on a random Tuesday. Pick through crab and remove any shells; set aside. Grease ramekins with butter on all sides. (2-4 ramekins, depending on how many you are making.) Lightly salt the bottom of each ramekin. 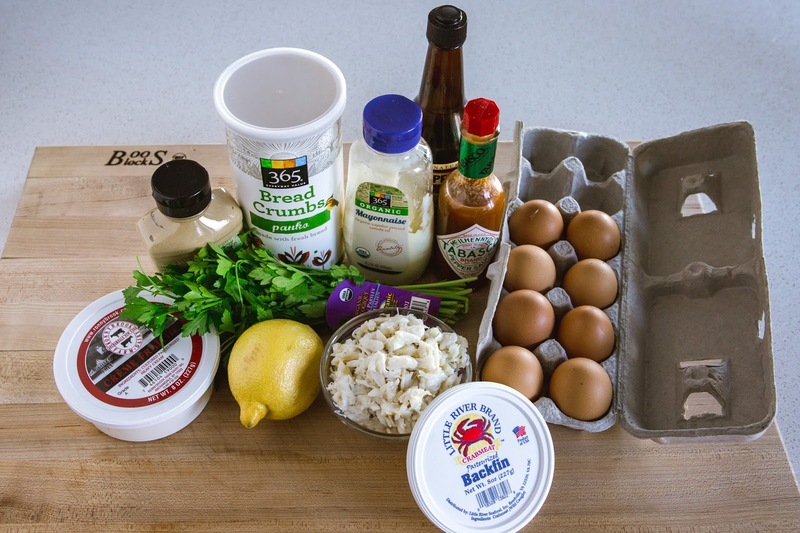 Whisk together the mayo, 2 teaspoons of the Dijon, Tabasco, lemon juice and 1/4 cup of the panko bread crumbs. 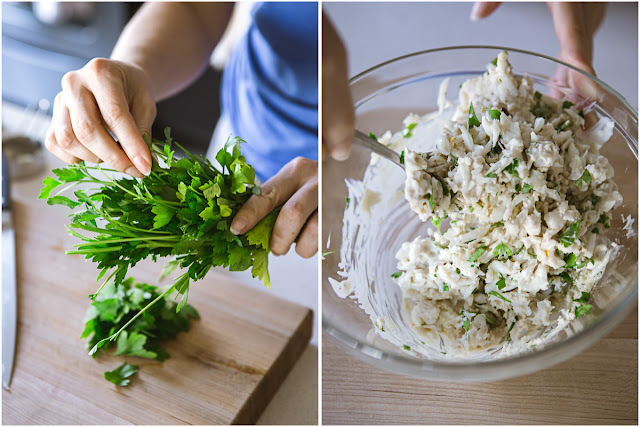 Gently fold in the crab and 1 tablespoon of the fresh herbs. Season to taste with salt & pepper. 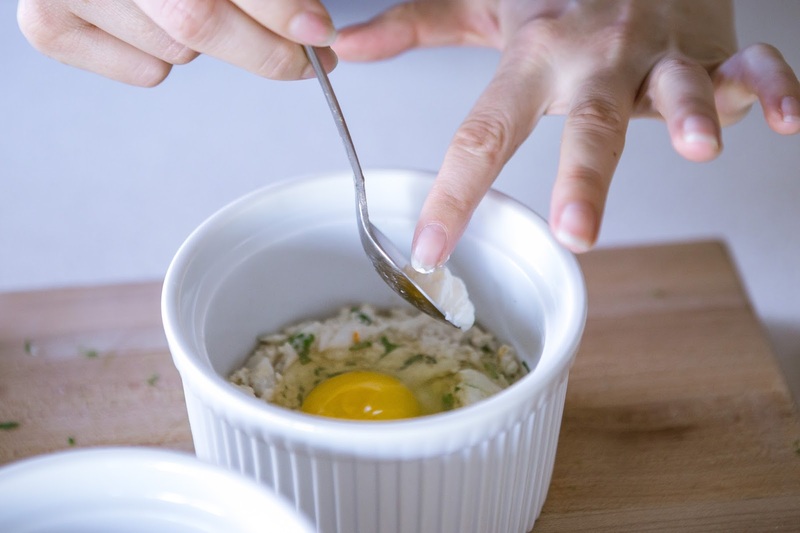 Divide crab mixture evenly into each ramekin, creating an even layer (Again, 2 to 4, depending on how many you are making.) 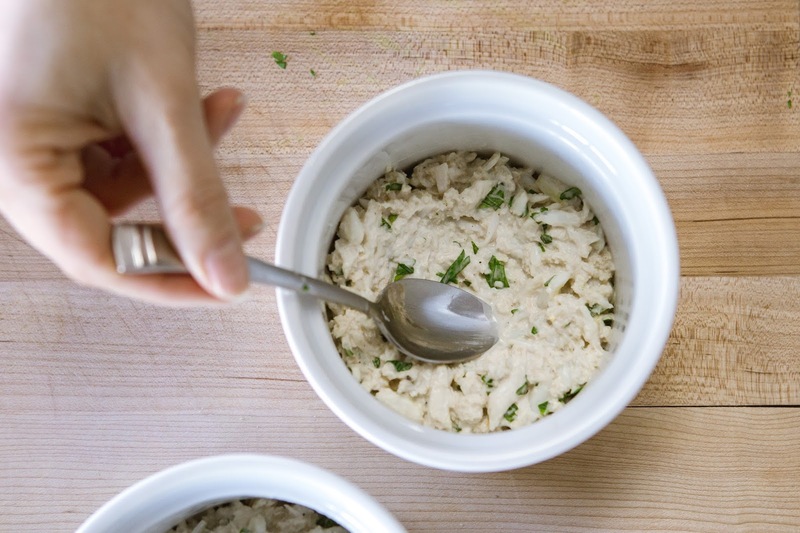 Using the back of a spoon, create a small "well" in the center of each dish of crab. 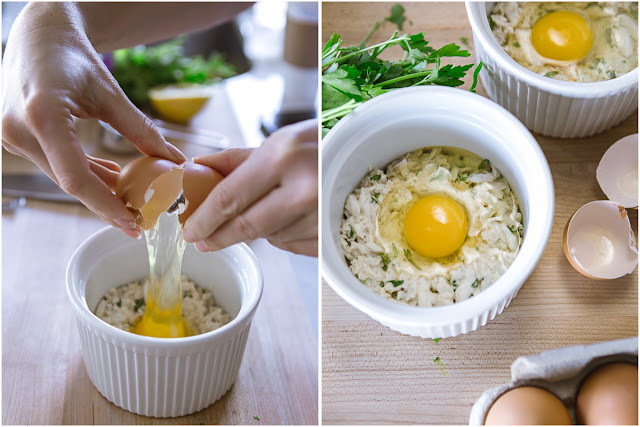 Place ramekins inside a baking dish and place in the oven. (You may also want to place the dish on a sheet pan to catch any spills.) Carefully pour enough boiling water into the baking dish so that the ramekins are submerged 3/4 of the way. 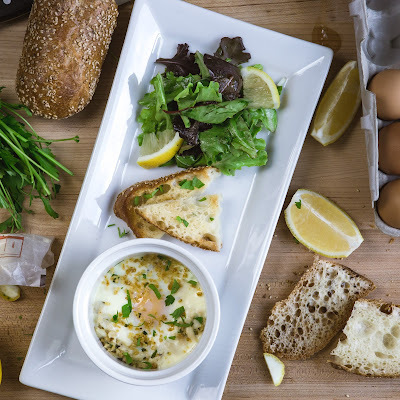 Bake until the egg whites are just set, but the yolks still jiggle when you move the dish. This process will take anywhere between 15 minutes to 30 minutes, depending on the size of the ramekins. While eggs are cooking, make the breadcrumbs. Heat two teaspoons olive oil over medium heat, and stir in the remainder of the bread crumbs (1/4 cup.) Stir until toasted, about 2-3 minutes. 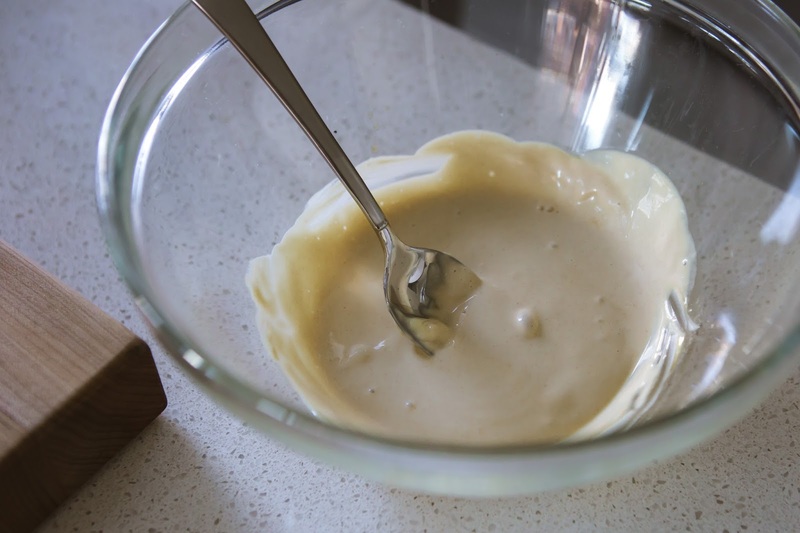 Stir in the remainder of Dijon (1 teaspoon.) Remove from heat, and season to taste with salt and pepper. 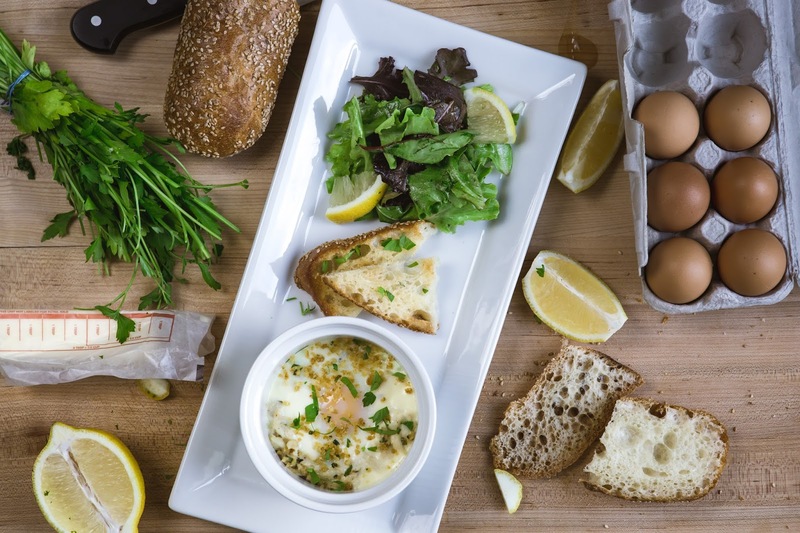 When eggs are done cooking, CAREFULLY remove the dish from the oven. Using a thin spatula and oven mits and/or tongs, carefully remove ramekins from the water and set on a kitchen towel to dry the bottoms of the ramekins. 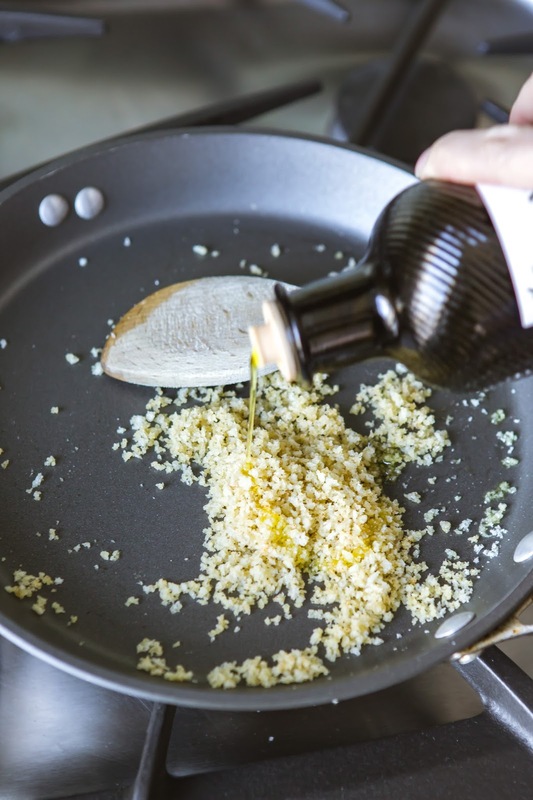 Transfer to plates, top with toasted bread crumbs, remaining herbs and serve with toasted bread and greens.